Credit redemption may be combined with other offers; however, cashback is not available. 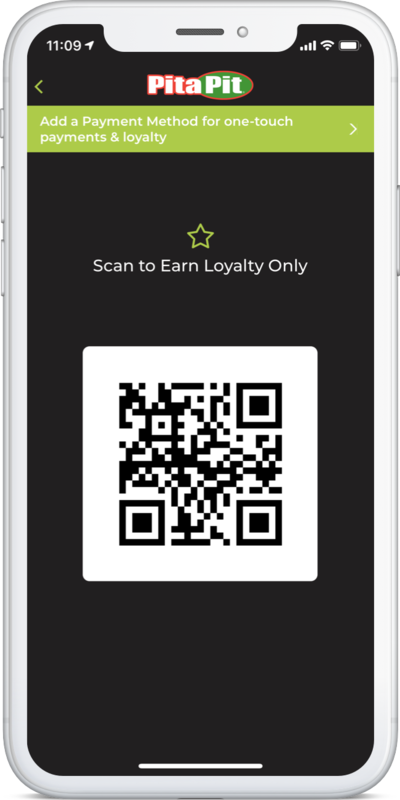 Any credits left over after redemption return to your rewards account.  Beginning January 2019, all Pita Pack Tier Levels will reset annually on January 1st. FREE Birthday Pita + $2 credit to spend on your favorite item + Unlock Super-Secret Rewards! 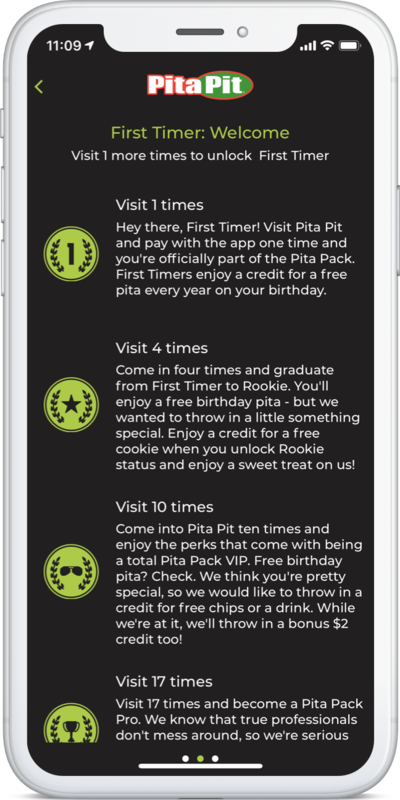 FREE Birthday Pita + $4 credit to spend on anything you'd like + Rewards with your newfound Pita Power! FREE Birthday Pita + $6 credit on anything you'd like + Enjoy the Holy Grail of all rewards - you did it. $6 minimum spend qualifies as a visit. 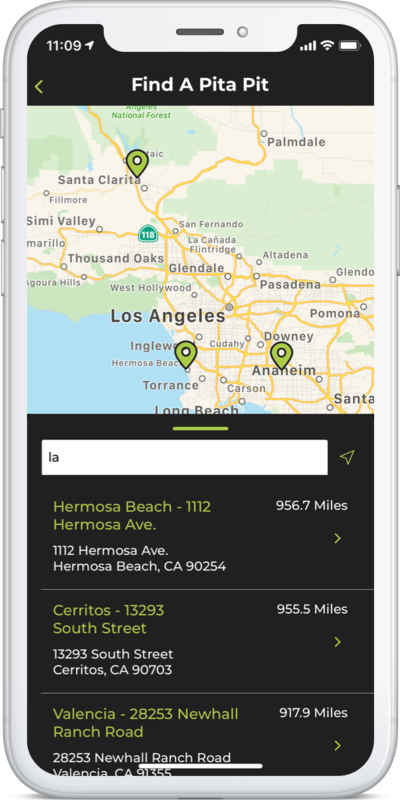 app must be scanned before the payment transaction.